Diabetes mellitus (DM) is a set of related diseases in which the body does not produce enough, or properly respond to, insulin, a hormone produced in the pancreas. This causes glucose (sugar) to accumulate in the blood, often leading to various complications such as blindness, kidney failure, heart disease, and painful peripheral nerve damage to name a few. Healthy life style choices and timely monitoring for diabetes may help minimize these concerns. My Labs For Life encourages you to take a proactive stance with regards to your health. Order tests today! After all, “Whether you think you can, or you think you can’t, either way you are right” Henry Ford. Order online these diabetes detection blood tests. What Are Diabetes Detection & Management Lab Tests? Why Perform Diabetes Detection & Monitoring Lab Tests? When reviewing information about diabetes and challenges related to healthy blood sugar levels on MyLabsForLife, we not only include the basic labs tested used to screen and monitor blood sugar levels, you will find information about other potential influences that may influence blood sugar levels, such as hormones, heavy metals and other toxins. 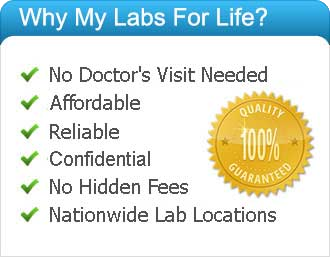 MyLabsForLife.com offers lab testing and health and wellness education using functional medicine perspective. A Functional Medicine approach evaluates the body as a whole, with a unique perspective focused on the relationship of one body system to another as well as potential nutrient imbalances and toxic overload that may compromise these relationships. Lab panels have been strategically constructed in order to evaluate nutritional, biochemical, or physiological imbalance and to help promote health and wellness. The health professionals at MyLabsForLife.com keep up to date with the latest research and the evidence speaks for itself. Arsenic (Blood) – This blood test is used to measure Arsenic levels. Arsenic toxicity affects the blood, kidneys, skin, digestive tract and central nervous system. Test code: 007245. Purchase or learn more. Arsenic (Urine) – This 24-hour urine test is used to measure Arsenic levels. Arsenic toxicity affects the blood, kidneys, skin, digestive tract and central nervous system. Test code: 007039. Purchase or learn more. C-Peptide – This fasting blood test is used to measure C-Peptide levels. C-peptide is a protein that is produced in the body along with insulin because it is generally found in amounts equal to insulin. Test Code: 010108 Purchase or learn more. T-3 Uptake – This blood test measures T-3 Uptake levels. The results of a T-3 uptake are used as an indirect measure of bioavailable binding sites for the thyroid stimulatory hormones from the brain. T-3 uptake is not a measurement of T3 and should never be used alone. Test code: 001156 Purchase or learn more. Thyroglobulin, Quantitative – This blood test is used to measure thyroglobulin levels. Thyroglobulin is a protein that helps synthesize the production of thyroid hormones. Thyroglobulin may be used to help establish the cause of hyperthyroidism or to monitor the effectiveness of treatment for certain thyroid disorders. 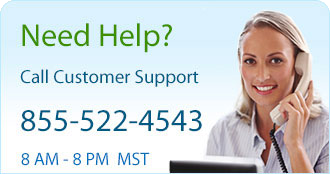 Test code: 042846 Purchase or learn more.